Your Career Starts Here and Now! We know that you are dedicated to working toward a great career and a chance for a brighter future, so let’s get to work to make that future begin as soon as possible. Smithwood Medical Institute, LLC is here to make the admissions process extremely easy for you. Present a valid picture ID, and a Social Security Card. Please see the “Steps Toward Admissions” below or review our Campus Catalog for details, or contact the campus to ask about other entrance requirements for your program of choice. Contact an admissions representative. Call 713.975.0971 Today! Your rep will help you schedule an appointment to come in to meet our Smithwood Medical staff, tour our institute, learn about our programs in detail, and review your options for financial assistance. We know that this is a major step for many so we are here to make this process as comfortable and easy as possible. We believe in getting to know our students individually as well as them getting to know us. 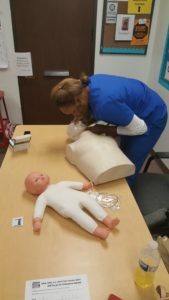 Smithwood Medical Institute, LLC makes it a priority to make each student feel confident in pursuing their dreams. We welcome each student to the Smithwood Medical Institute, LLC Family with open arms. We are here to help in anyway we can! Complete an Application and Enrollment Agreement. Your admissions rep will review the agreement with you and will answer your questions during the process. Show documented proof of your graduation from high school or the equivalent (such as a GED certificate). Note: In the event the applicant is unable to provide proof of secondary education, the applicant must achieve a passing score on the Wonderlic Basic Skills Test (Verbal 200 and Quantitative 210). Arrange for payment of the program tuition and any related fees. Our finance reps will review your available financing options and can work with you to complete the required forms. You may also need to complete financial aid applications (if you’re applying for financial aid) or other financial documents. For admission into your program of choice, you need to meet the preceding requirements and any program-specific requirements before your program’s first scheduled class date. Arrange for payment of the program tuition and any related fees. For admission into your program of choice, you need to meet the preceding requirements and any program-specific requirements before your program’s first scheduled class date. As the parent or guardian of a high school student, you’ve probably been talking with your teenager about the future and some of the educational options he or she may be considering either during their secondary education or even after graduation. Unlike many high school students, your son or daughter probably has expressed a strong interest in attaining continued education within the medical arena. Why not help them achieve their dreams and extend their current health science technology training into an amazing career by continuing their medical education with us! Don’t let the financial situation stop you…we have the perfect solution! Smithwood Medical Institute, LLC Can Offer You…. Smithwood Medical Institute, LLC realizes that helping you gain a better understanding of the financial assistance process is essential and highly significant when considering continuing your education. In order to accurately address all concerns, we have a financial aid specialist to help your family understand how financial aid works, what the application process involves, and what financing options are available. Your family and our specialist will discuss the information together during an in-person meeting with us so that we can make sure to walk you all step-by-step through the process in an effort to make it as easy as possible. Why Stop Here? Let’s Keep Going! During your meeting with us, we will explain our admission standards and review our enrollment form with you. You will also have the chance to tour the campus facilities. We will explain our programs in detail, and you will hear about our small class sizes, day and evening classes, and lab hands-on opportunities. We will also talk to you about our clinical opportunities available in certain programs and how they can offer your young adult some valuable on-the-job training. 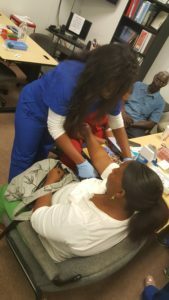 You will also discover how, through career partnerships, employer visits to the campus, and one-on-one help with employment applications, résumés, and interviewing tips, we can prepare your soon-to-be graduate for job interviews and the “real world” that awaits once attaining the Nurse Aide or Phlebotomy certification.